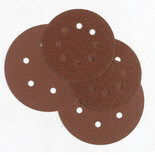 A pack of fifty 125mm diameter, fine grade 8-hole aluminium oxide sanding discs, suitable for 'hook & loop' type backing pads. 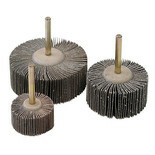 50 Alu. 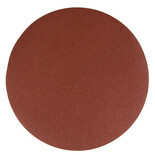 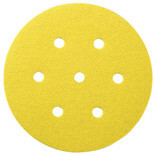 Oxide 8-Hole Sanding Disc 125mm Dia. 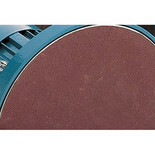 -Med. 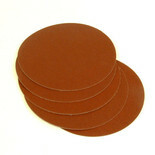 A pack of fifty 125mm diameter medium grade 8-hole aluminium oxide sanding discs, suitable for 'hook & loop' type backing pads. 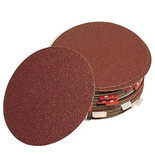 A pack of fifty 125mm diameter coarse grade 8-hole aluminium oxide sanding discs, suitable for 'hook & loop' type backing pads.. 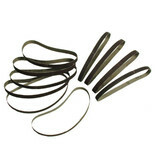 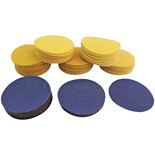 This pack of 25 sanding discs, with assorted grades of grit from coarse to fine, is ideal for use with sander / polishers that have 180mm diameter hook & loop type backing pads.